High-quality products at lower price and the need to improve productivity are two of the major challenges manufacturers face when working in a competitive environment. It is hard for a company to survive or to remain profitable without thoroughly addressing the emerging issues. Flexibility and agility are also important characteristics of modern production processes. Businesses have to respond to a very dynamic market with products showing short life-cycles due to the growing demand for innovation and precision. Being a business manager, you need to thoroughly address the market requirements in an efficient manner. Embracing industrial automation technology, robotics, intelligent sensors and machines is the only way to meet future challenges. Welding is a major component of the production process in most of the industries and manufacturing plants. A large number of products require welding operations in their production process. The automotive industry is one of the examples where welding operations take place at a large scale. The quality of a welding process has a direct impact on the quality of finished products. We understand that welding operations are technical, complex, challenging to parameterize and control. Despite the rapid progress in industrial technology, robotic welding technology still needs to add more features and reach its true potential. A welding process can impose extremely high temperature concentrated in small areas, which can lead to changes in the materials and deformations. The modern technology focuses on improving the overall quality and productivity of welding operations through sophisticated systems such as robots and automated welding plants. Undoubtedly, automated machines and robots are essential components of today’s manufacturing plants. The demand for automated welding systems has increased over the past the few years due to the potential for flexibility, innovation, low costs, and operational efficiency. Machines clearly outsmart manual work in terms of speed, accuracy, and efficiency. The automobile is the most highlighted industry that use robots extensively to carry out welding, material handling, assembling, and other major operations. It is estimated that 25% of industrial robots are being used in the welding applications. It is relatively easy for large organizations to test and implement new technologies as they have enough resources to go through a complicated product development process. Implementation of new technology into an existing process is also a challenging task that requires planning. In order to meet the requirements of market and customer expectations, businesses should limit the use of manual welding. The required setup time, slow production process, low-quality welds, health risks are some of the factors that do not fit into the modern day manufacturing. In order to achieve sustainable growth, you have to embrace automation so that you can address growth challenges such as the demand for high-quality products, low productivity, lack of flexibility and agility in the process, and, at the same time, remain profitable. 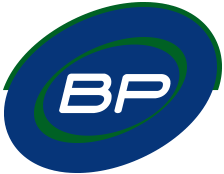 BP Automation is one of the most reputable engineering companies in Canada where we design and manufacture practical and cost-effective automation solutions for various industries. Our objective is to streamline manufacturing processes for our clients through custom machines. Robotics, automated welding systems, material handling equipment, QC systems, and sensor technology are some of our expertise. Let us know how we can improve your production process and make it more productive and profitable!